After a long journey, my PhD dissertation is finally finished, approved, and printed, albeit only in a very small, privately published run. The only thing that now stands between me and my doctorate is the public defence on Tuesday, 20 June 2017, 2 pm sharp, at the Agnietenkapel in the heart of Amsterdam. And just to make that very clear: ‘public’ means that everybody is welcome to attend. If you’re still hesitating, you might want to read on to get a better idea of what my book is all about. ‘Spiritual alchemy’ is a contested term that is often accompanied by far-reaching claims about the presumed essence of alchemy. Despite the troubled past of this term, this study reclaims ‘spiritual al­che­my’ as a precisely definable catego­ry for historical research. The term stands for the practical pursuit of inward but physically real transmutation, its goal being the reversal of the Fall as a preparation for the resur­rection of the dead at the Last Judgment. 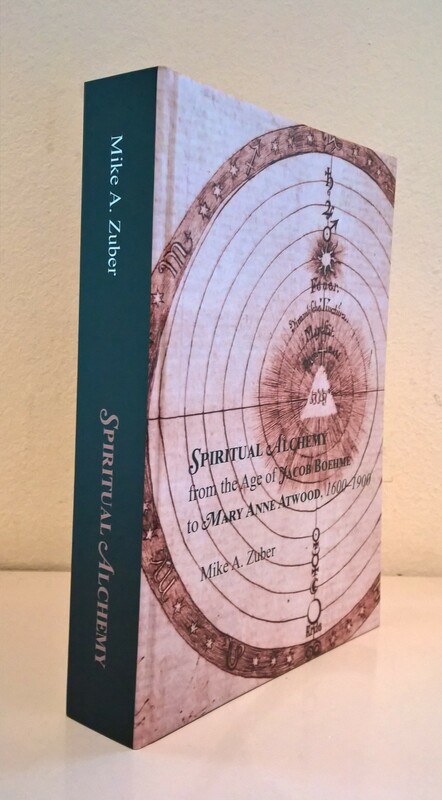 Spiritual alchemy in this sense first developed around the turn of the seventeenth century, due to the confluence of two important currents: German mysticism and alchemical Paracelsianism. In underground networks of religious dissenters, mystical and spiritualist as well as alchemical and Paracelsian writings circulated side by side. In this context, spiritual alchemy eventually reached Jacob Boehme. According to his understanding, laboratory alchemy was but a lesser, grossly material reflection of spiritual alchemy. Drawing extensively on the manuscript record, this study traces how Boehme’s spiritual alchemy ultimately came to shape Mary Anne Atwood’s enduringly popular Suggestive Inquiry into the Hermetic Mystery. It appears that a formerly minor strand of early-modern alchemy exerted crucial influence on this first major presentation of modern alchemy. Click here to download the title page, table of contents, and summary. This entry was posted on Thursday, May 25th, 2017 at 10:20 pm	and tagged with alchemy, Jacob Boehme, Mary Anne Atwood, theosophy, thesis defence, University of Amsterdam and posted in Conferences, Publications. You can follow any responses to this entry through the RSS 2.0 feed. Not sure how small a run “and printed, albeit only in a very small, privately published run” might refer to. But this topic is of high interest to me and I would be willing to buy a copy. Could you tell me if this is possible and who to talk & etc if so? Or perhaps drop me an email.